Question: "Is tithing a New Testament practice and a teaching in our Holy Tradition?" 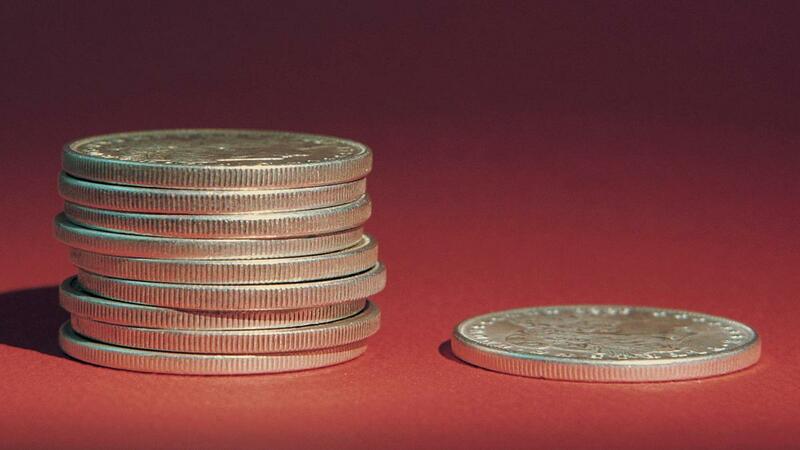 Tithing was the practice of giving ten percent of one's "increase" to God. By increase, this meant that whatever one's labor managed to acquire, the first ten percent of it was the Lord's. Tithing was included in the Law of Moses, but it actually predated that law, because we see in Genesis 14:18-20 that Abraham also tithed. To fail to tithe was to rob God (Malachi 3:8-10). In the 13th chapter of the Didache (which is believed to be the oldest document outside of the New Testament) it speaks of giving the "firstfruits" to support prophets, teachers, and the poor, "according to the commandment" (Didache 13:8). The giving of firstfruits in the Old Testament was an aspect of the tithing system, and so when it speaks of doing so "according to the commandment," this suggests that tithing at least has some application for Christians. "We are bound, therefore, to offer to God the first-fruits of His creation, as Moses also says, “Thou shalt not appear in the presence of the Lord thy God empty;” so that man, being accounted as grateful, by those things in which he has shown his gratitude, may receive that honour which flows from Him" (Against Heresies 4:18:1). "So that in this case the greatness of the sin will make such an one go away with the devil. Woe to him, it is said, who doeth not alms; and if this was the case under the Old Covenant, much more is it under the New. If, where the getting of wealth was allowed, and the enjoyment of it, and the care of it, there was such provision made for the succoring the poor, how much more in that Dispensation, where we are commanded to surrender all we have? For what did not they of old do? They gave tithes, and tithes again upon tithes for orphans, widows, and strangers; whereas some one was saying to me in astonishment at another, “Why, such an one gives tithes.” What a load of disgrace does this expression imply, since what was not a matter of wonder with the Jews has come to be so in the case of the Christians? If there was danger then in omitting tithes, think how great it must be now" (4th Homily on Ephesians). St. John Chrysostom's point is that it is not only wrong to assume that Christians don't need to be concerned with tithing, but that it is an even greater obligation now than it was in the Old Testament, and that we should do more than simply give tithes. We know that St. Vladimir practiced tithing because the first stone Church in Kiev was built with money he tithed, and was nick-named "The Church of the Tithes" (Десятинна Церква). Question: "Did Christmas originate from a pagan holiday?" There has been a long tradition among Protestants of accusing Roman Catholics of engaging in pagan practices based on shoddy history, and modern atheists seem to have taken up that tradition in order to discredit Christianity altogether. The claims that Christmas originated as a pagan festival have a number of problems historically. For one, the Saturnalia, which is often claimed to be the feast that inspired Christmas was celebrated on December 17th, and eventually this feast was expanded to a week, which ended on December 23rd. 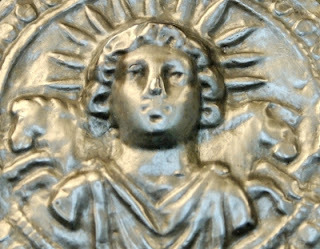 The feast of the Unconquerable Sun, which actually was celebrated on December 25th, is a much later feast. The earliest evidence that this feast was celebrated on December 25th comes from a text dated in the year 354 a.d. The earliest Christian reference to a belief that Christ was born on December 25th comes from St. Hippolytus' commentary on Daniel, which was written about 150 years earlier. So if anyone was trying to displace a feast, it is more likely that Pagan Romans were trying to displace a Christian feast, then the other way around. The other problem with this claim is that the Feast of the Annunciation is the more ancient feast. It was believed that the Messiah would complete his earthly mission on the anniversary of its inception. And we find Tertullian stating that Christ was Crucified on March 25th as early as 208 a.d. (An Answer to the Jews, Ch. VIII). If you calculate a birth exactly nine months later, you come to December 25th. A further problem with this claim is that before Christmas became a universal feast of the Church, most of the Church celebrated Christ's birth and the beginning of his ministry in His baptism on January 6th. Only later, when the eastern part of the Church adopted the celebration of Christmas was the celebration of Christ's birth transferred to that date, and January 6th exclusively focused on Christ's baptism. But even if it were the case that there was a pagan feast celebrated on December 25th, if Christians had displaced it with a Christian feast, this would hardly make the celebration pagan in origin. To prove that, you would need to demonstrate a lot more than the coincidence of the date. More wild claims that the idea of the virgin birth of Christ is based on pagan myths have even less historical credibility. For the most part they are based on made up similarities that have no actual basis in reality.